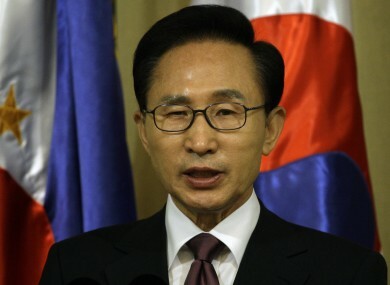 SOUTH KOREAN PRESIDENT Lee Myung-bak has called on his fellow country men and women to make sacrifices such as wearing thermal underwear and turning down the heat in the name of conserving energy amid soaring demand. South Korean news agency Yonhap reports that Lee said in his bi-weekly radio address that it was an increasingly uphill task for his government to meet the “skyrocketing electricity demand” in the country and he urged co-operation from citizens in making an effort to lower that demand. He called on his fellow South Koreans to lower the thermostat and wear thermals, citing his own experience of the garment. Having initially found the warmer underwear uncomfortable, he said he soon became accustomed to it. “I got used to it,” he said. “And now I am very warm and comfortable wearing it”. BBC News reports that the unusually warm weather experienced by South Koreans in September led to a surge in demand for power and caused a massive blackout in September. Lee’s call for citizens to do their bit reinforces his reputation as a no-nonsense leader. His nickname is the “bulldozer”, BBC News adds. His call to reduce energy consumption echoes that of former US president Jimmy Carter in the late 70s, according to Foreign Policy. Email “South Korean president wears thermal underwear to save power ”. Feedback on “South Korean president wears thermal underwear to save power ”.